A traveler with a bulge in their body from a cyst or hernia might get flagged for an invasive airport security screening to look for explosives, a case report suggests. In many larger airports, X-rays have been replaced in recent years by machines that use radio frequencies to detect suspicious items on travelers, researchers note in JAMA Dermatology. One female traveler with a common type of skin cyst was flagged for a hidden explosive search at a U.S. airport, her physician, Dr. Warren Heymann, notes in the report. “Until my patient told me her story, I had never encountered this situation,” Heymann, a researcher at Cooper Medical School of Rowan University in Camden, New Jersey, said by email. “To the best of my knowledge, there has only been one similar case in the medical literature, as noted in my article – a man with a hernia,” Heymann added. On future trips, this woman traveled with a doctor’s note explaining her condition that she could show airport security agents, Heymann said in the case report. The man with the hernia had a protrusion in his groin area that alarmed airport screeners. This traveler was interrogated and subjected to a genital exam, Heymann reported. “I would suggest that people be aware that this could happen to them if they have prominent lesions on their skin,” Heymann said by email. 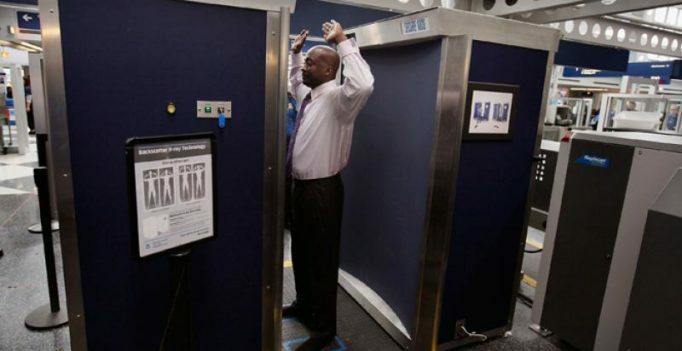 Airport scanners generally show solid masses on the surface area of a person’s body and/or in their clothing. If a large cyst or mass appears to stick up above the skin or body outline around it, or looks like a solid mass compared to the area around it, the scanner may reflect that, said Dr. Mahadevappa Mahesh, a radiology and public health researcher at Johns Hopkins University in Baltimore who wasn’t involved in the case report. There’s no data on how many travelers may experience incidents like the woman with the cyst or the man with the hernia, Mahesh, a member of the American College of Radiology’s medical physics commission, said by email. 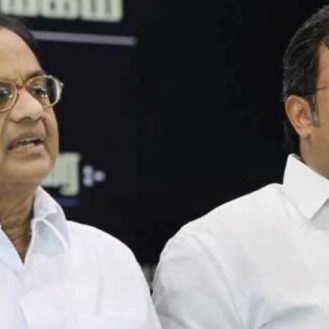 “We suspect that it is a rare situation,” Mahesh said. It’s more common for patients that have been injected with or ingested a radioactive material for nuclear medicine exams to be flagged for airport screening because radiation may be detected if they travel shortly after their procedures, Mahesh added. While smaller cysts shouldn’t confuse airport scanners, it’s more likely that travelers would be flagged when they have larger ones, said Dr. David Brenner, a radiology researcher at Columbia University Medical Center in New York who wasn’t involved in the case report. “If you do have a large (greater than 2 inch) external skin lesion which is located under your clothes, you would be prudent to get a doctor’s note before traveling – but you still might expect a patdown,” Brenner said by email. Priyanka Chopra referred to Shah Rukh Khan as her ex? Gigi Hadid-Zayn Malik high on PDA as they enjoy a romantic vacation in Tahiti!